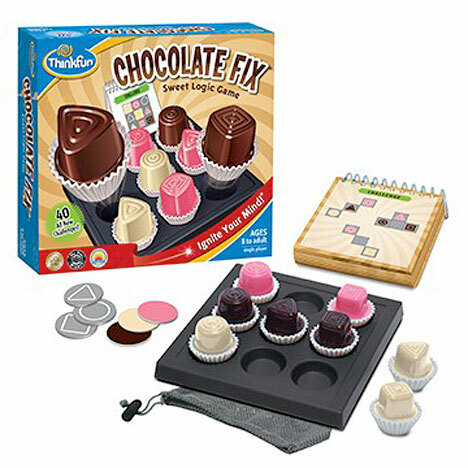 Using the clues, fill the tray with all nine chocolate pieces in their correct positions. Similar to Sudoku, you must examine all clues on the challenge card before making a move. You will feel your confidence build as you narrow the possibilities to complete each challenge.